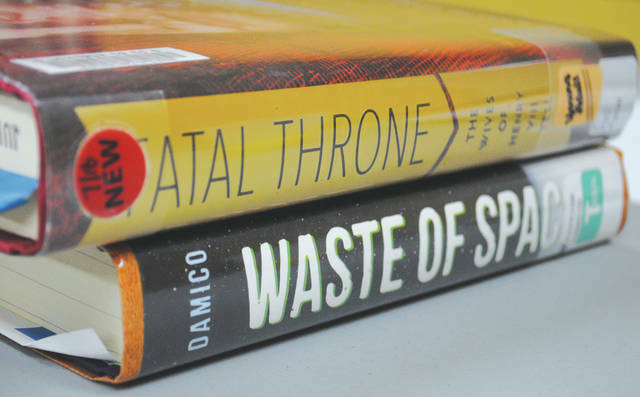 Whitney Vickers | Greene County News The Fairborn Community Library invited students in grades 6-12 over for a discussion about what books they’ve been reading over brunch. After sharing, attendees played a book trivia game. Attendees July 20 included Lexi Cooper, Savannah Riley, Lorelei Cooper and Rylee Schaeffer. 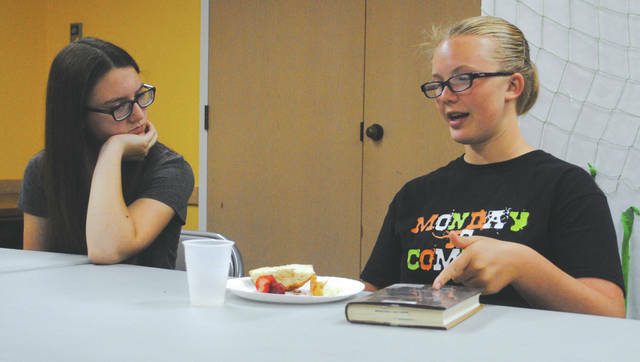 The Fairborn Community Library invited students in grades 6-12 over for a discussion about what books they’ve been reading over brunch. After sharing, attendees played a book trivia game. 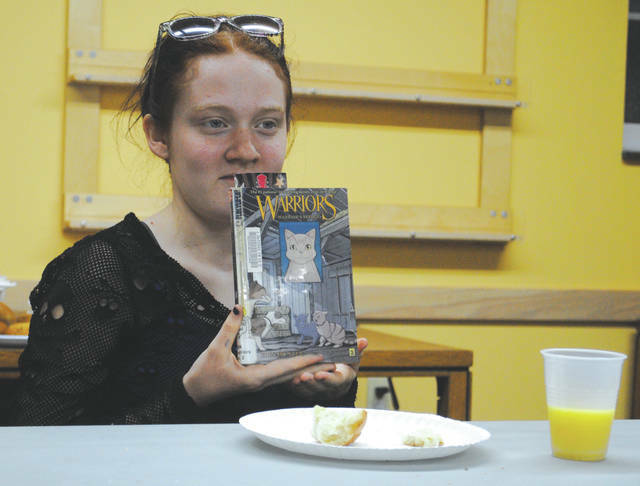 https://www.fairborndailyherald.com/wp-content/uploads/sites/50/2018/07/web1_booksnbrunch4.jpgWhitney Vickers | Greene County News The Fairborn Community Library invited students in grades 6-12 over for a discussion about what books they’ve been reading over brunch. After sharing, attendees played a book trivia game. 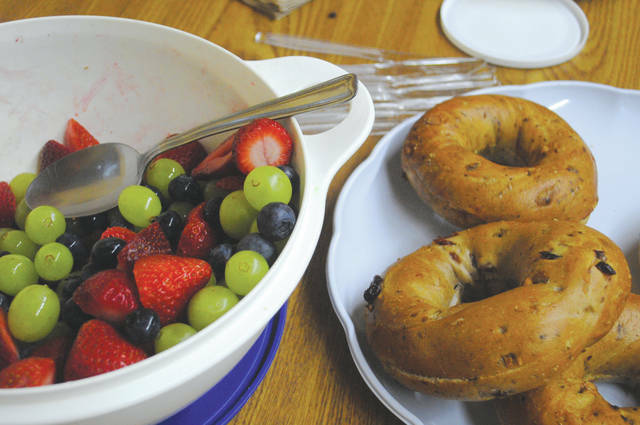 https://www.fairborndailyherald.com/wp-content/uploads/sites/50/2018/07/web1_booksnbrunch1.jpgWhitney Vickers | Greene County News The Fairborn Community Library invited students in grades 6-12 over for a discussion about what books they’ve been reading over brunch. After sharing, attendees played a book trivia game. https://www.fairborndailyherald.com/wp-content/uploads/sites/50/2018/07/web1_booksnbrunch2.jpgAttendees July 20 included Lexi Cooper, Savannah Riley, Lorelei Cooper and Rylee Schaeffer. https://www.fairborndailyherald.com/wp-content/uploads/sites/50/2018/07/web1_booksnbrunch3.jpgAttendees July 20 included Lexi Cooper, Savannah Riley, Lorelei Cooper and Rylee Schaeffer.